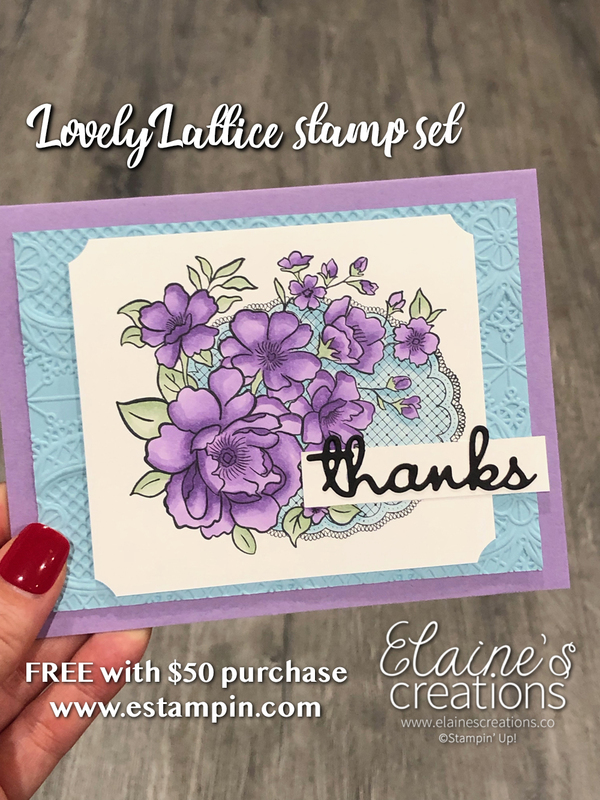 Sneak Peek - Lovely Lattice for FREE! 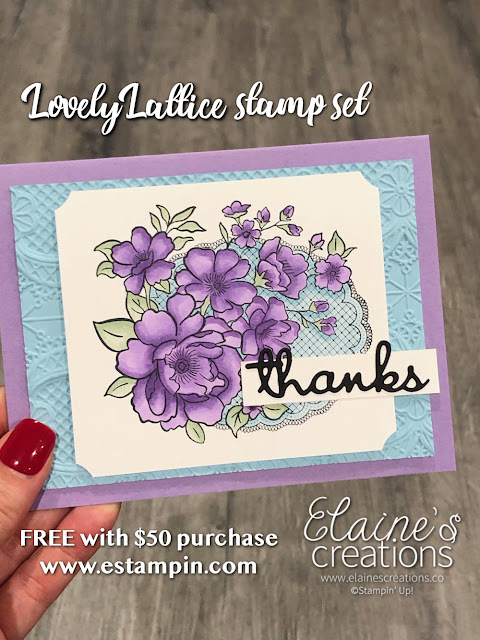 Use the blends to color the Lovely Lattice stamp set that you can earn for free with a $50 order starting Jan 3rd! 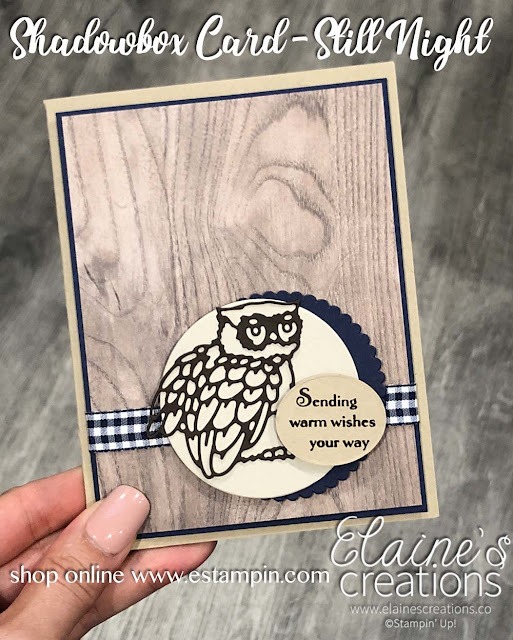 Do you see the new embossing folder too? It's so pretty! Place your order online using hostess code P2SSW9WH and you'll receive a free gift in the mail from me! (Make sure that you do not have "no contact" selected from previous online orders or I will not be able to send your gift). 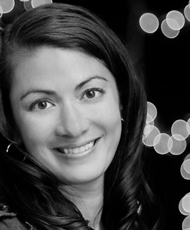 Sneak Peek! 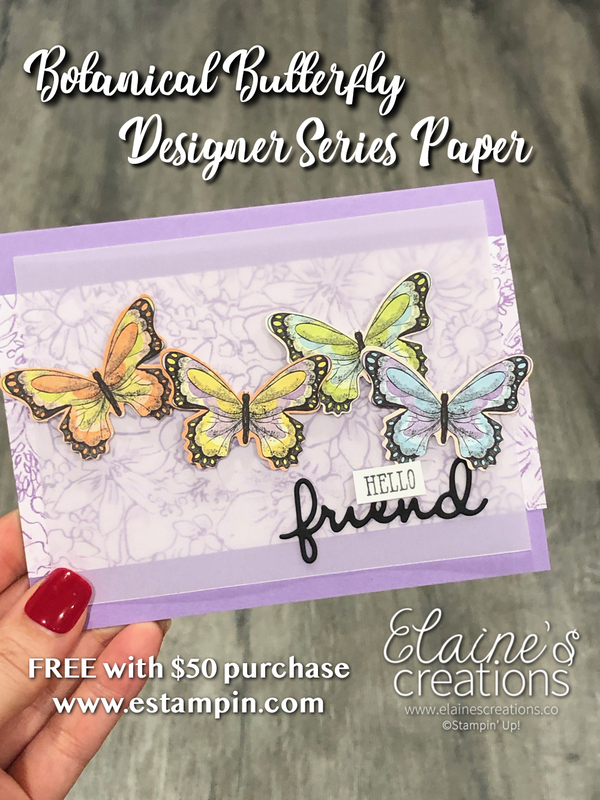 Botanical Butterflies for FREE! Sneak Peek of the beautiful new Botanical Butterflies Designer Series Paper along with two of my favorite from the Occasions catalog - the butterfly duet punch that I use dot punch all the butterflies out of the Botanical Butterflies Designer Series Paper (that you can earn for FREE with a $50 purchase) and the Well Written dies! The Well Written dies have lots of fun word dies in script font that you simply must have! 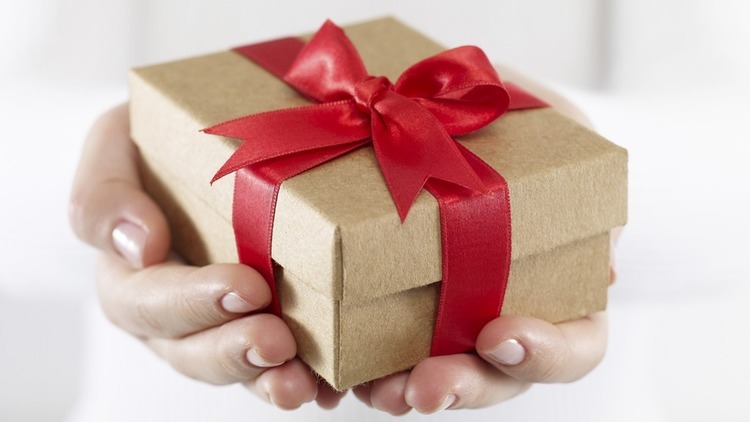 AM7J29AX and you'll receive a free gift in the mail from me! My last Christmas card of the year bids a fond farewell to 2018 and the holiday catalog. The holiday catalog has been the best one so far and I'm looking forward to all the fun products in the Occasions catalog and Sale-A-Bration catalogs! Thanks for a great year everyone! I wish you a very Happy and safe New Year! Merry Christmas! 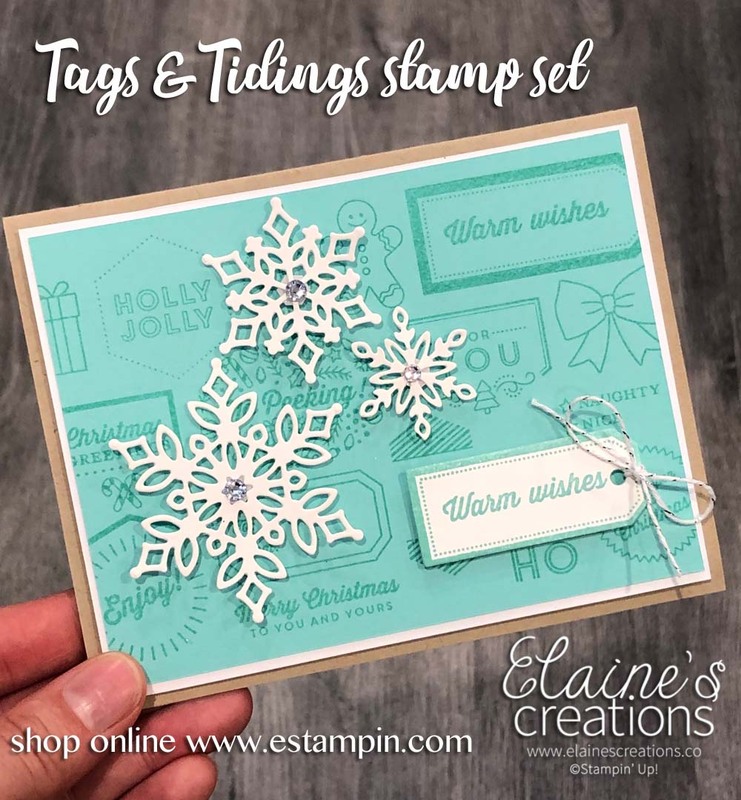 Tags & Tidings! Merry Merry Christmas to everyone! My last Christmas card of the year using the Tags & Tidings stamp that is retiring. Quick and easy! I added some snowflakes with glimmer paper and rhinestones for some extra bling! 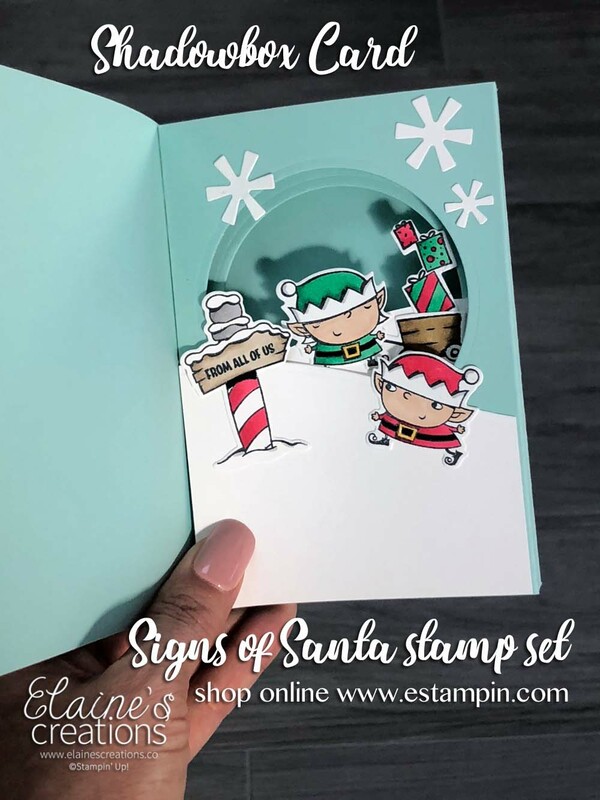 Shadowbox cards are totally worth the effort to make! 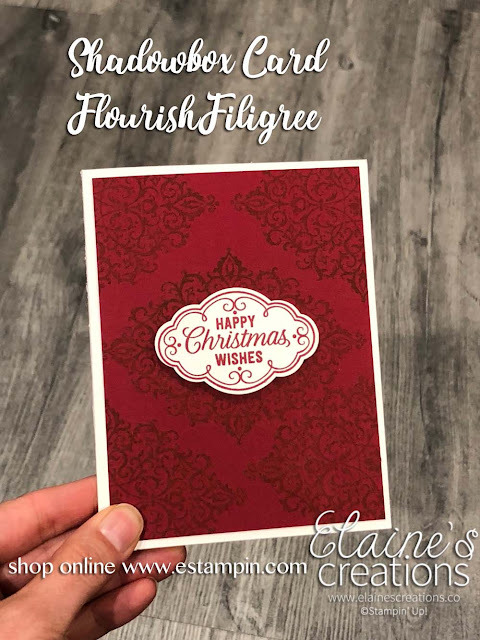 I love opening the card and seeing the surprise inside!! 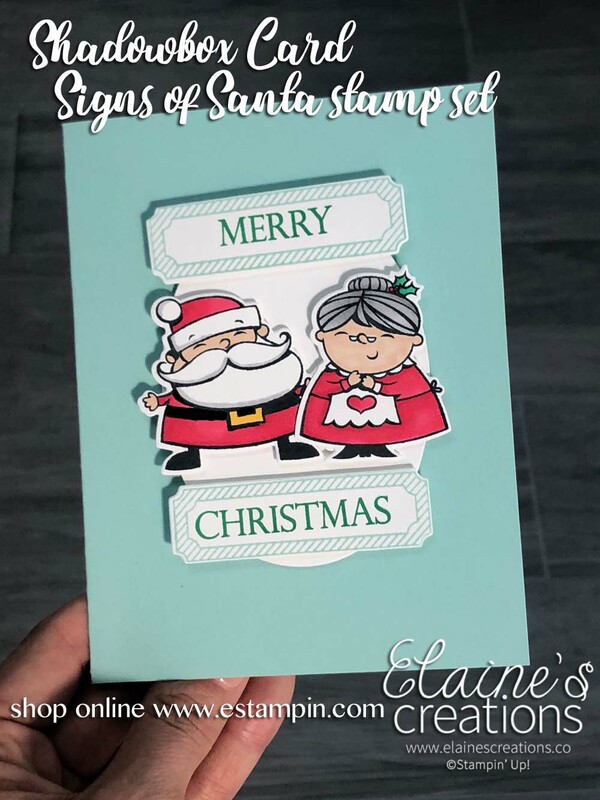 I did a FB Live showing you how to make this Signs of Santa Shadowbox card (designed by Sue Vine). 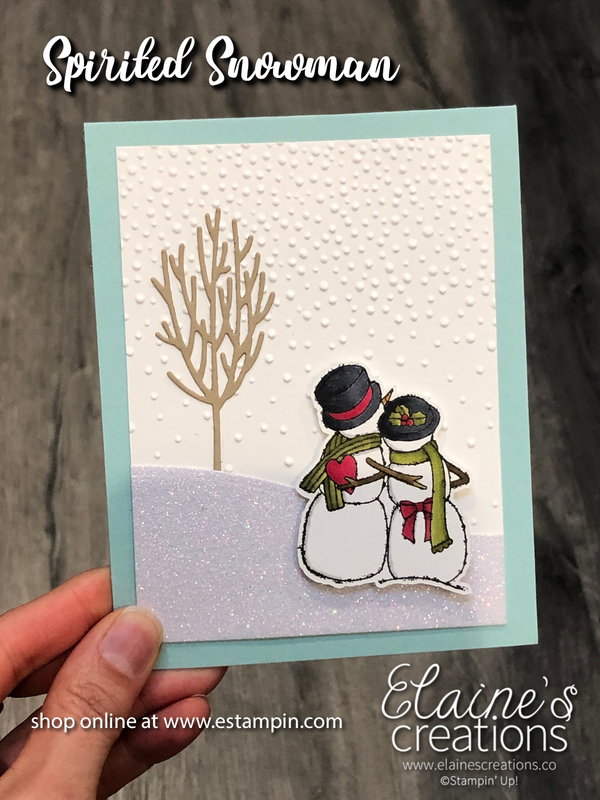 I create this shadowbox card using the Layering Oval Dies. 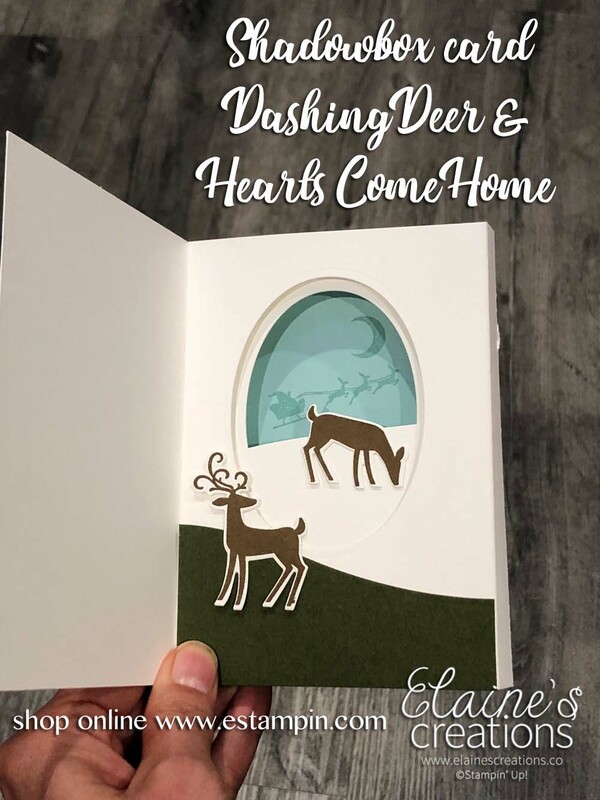 I love the look of creating the double window inside the shadowbox card. I used the Still Night bundle for this shadowbox single window card. 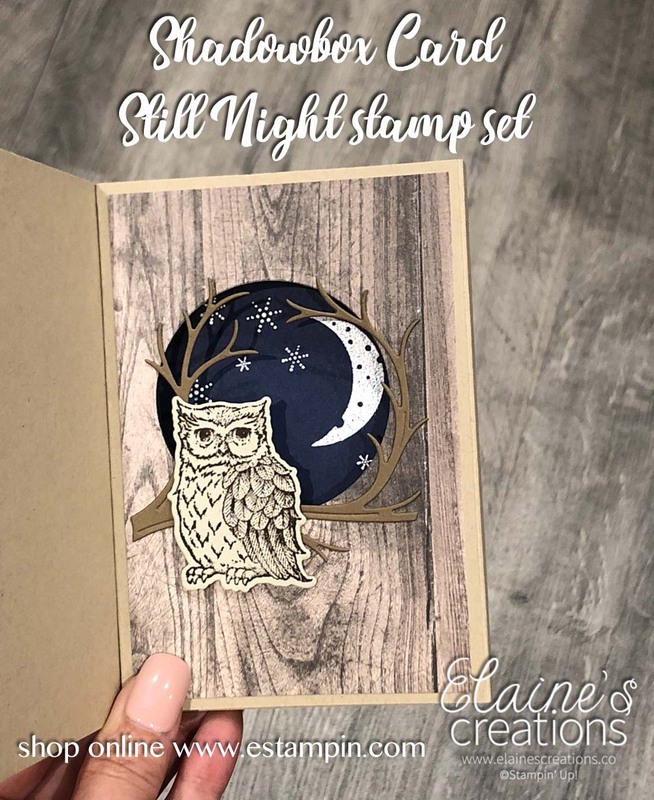 I embossed the stars and moon with white embossing powder. I like how to branch frames the circle - it's like it was meant to be! Learn How to Make Bridge Cards! I held a bridge card class last week in which we made these three bridge cards. 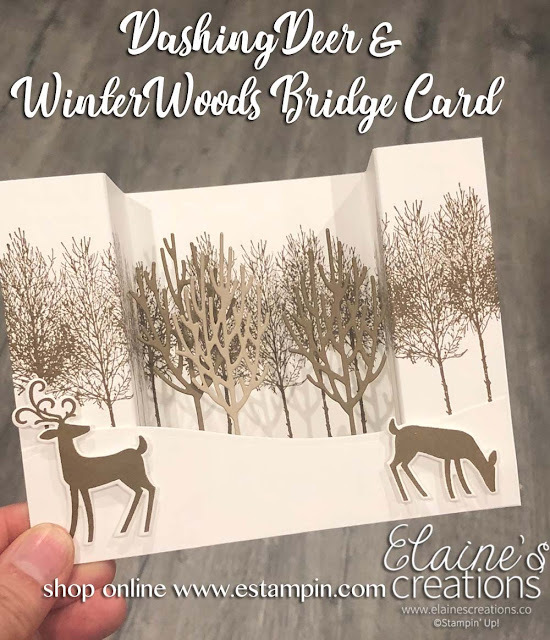 The first one we made by stamping the trees from Winter Woods stamp set and the deer from Dashing Deer. I added some trees to the back of the snow drift from the In the Woods dies. 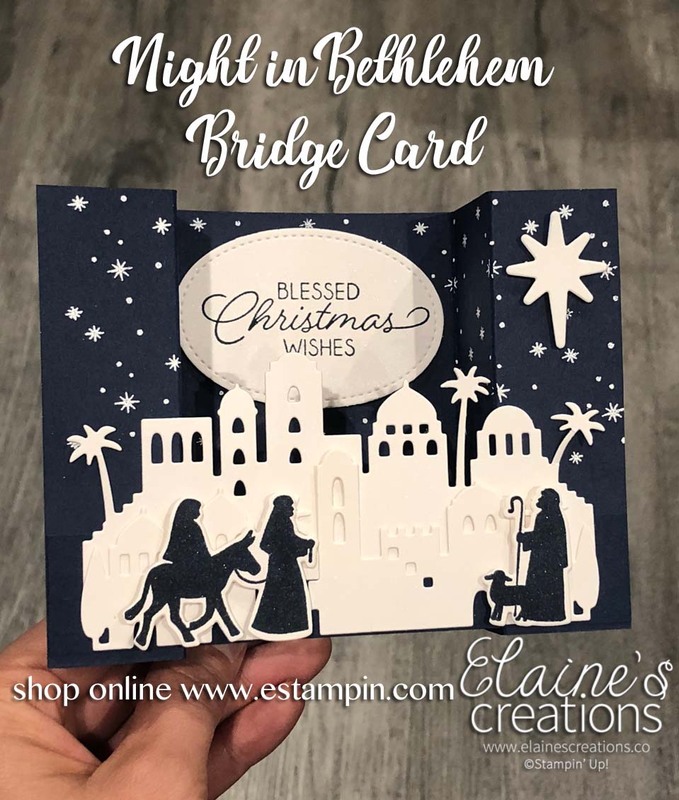 All of the bridge cards we made fold flat for mailing and fit a standard A2 invitation sized envelope. They measure 4-1/4" x 8" and are scored at 1-14" and 1-1/2" from each end. 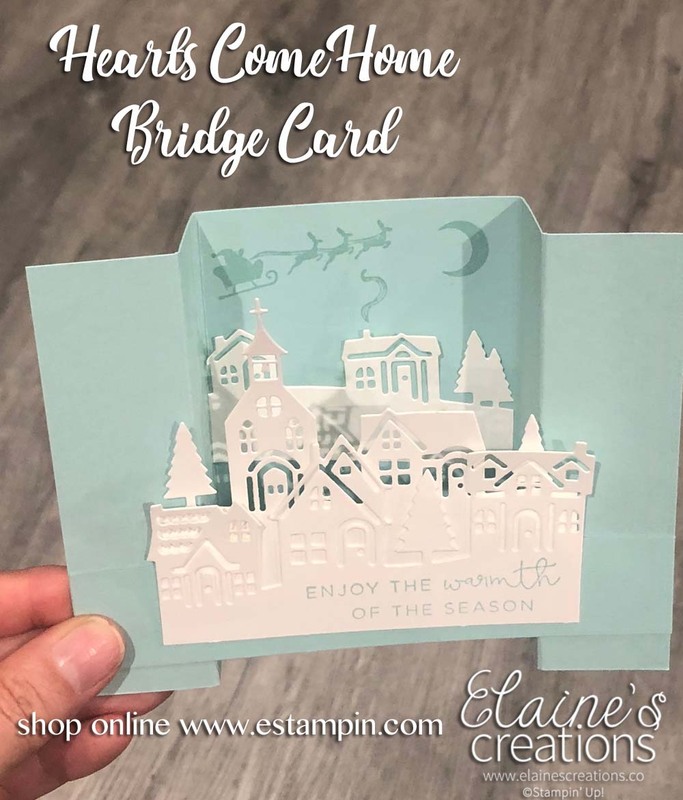 I also did a FB Live showing these cards and how to create this bridge card. For the second card we used the Hearts Come Home stamp set and Hometown Greetings. For the third card we used the Night in Bethlehem stamp set and Bethlehem Edgelit Dies. We embossed the stars with white embossing powder and added the sentiment to an oval stitched shape. 60% off! Clearance Rack Updated! Create a Rainbow of Color!